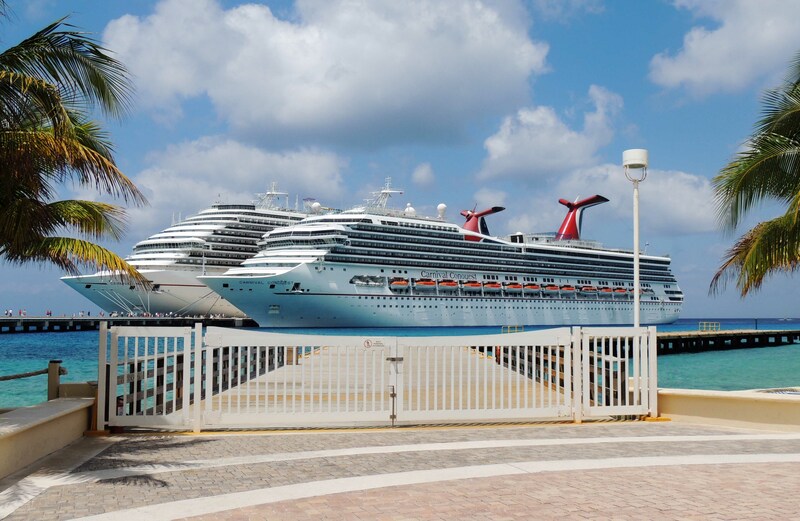 Cruising is the best kind of vacation: unlimited food, exotic destinations, and great service! I love going on a cruise, I love meeting new people from all of the world, and seeing new places on the way. Did you just book your cruise vacation? Now you need to pack everything from your cruise packing list to be prepared for all the pleasant surprises that await you! Packing for a cruise can seem overwhelming: days at the beach, formal nights, snorkeling excursions and museum walks – How can you pack for all of it without packing your whole house in with you? What are you forgetting? On my previous cruise all of these tips and the cruise packing list really helped me prepare myself for everything, hope it will help you as well! If you forget something important you will probably have to buy it at a double price on the ship or the port of call, so you should make sure you take all of the essentials! It’s a lot easier to keep up with your key if you have a lanyard with you. They are a lot more expensive on the ship, so you can grab them from Amazon* for your whole family or look for an old one at home. Ok, this one isn’t a must, but it will save you from the sun you will look stunning on the beach. One of my favorites – this cute hat* – and, once again, you don’t have to spend a fortune on it! Each line has its own rules, but generally, you will have to pay for drinks on-board unless you purchased a drink package. It would be a lot cheaper to bring a bottle of wine or a few cans of soda with you on-board than buying it there. Make sure to check with the cruise company how much alcohol you can bring on-board. Cruising doesn’t have to be expensive, but it’s hard to budget for your first cruise as you don’t know what to expect! In this article I cover most paid services you will find on the cruise so that you can pick and choose what you want to budget for! Don’t forget to grab sunscreen with you, and don’t forget to apply it every morning. With the winds, it’s easy to skip the sunscreen and you just might regret this later. This package* should be enough for the whole cruise for the whole family. Throw your dirties in a separate bag. Isn’t this one so adorable? Isn’t that what cruising is about? You want to remember all of the beautiful moments when you are on-board or on an exotic island. Don’t forget to grab your camera with you on your next cruise vacation. You can get a cheaper model* that will last you many more vacations to come. Another great option is getting an action camera like a GoPro* if you are planning to go zip-lining or snorkeling in one of the islands. You can get some really great underwater shots with it. I was really surprised when I found out that some other action cameras like this one* have such high customer ratings for a low price. A lot of people forget to grab a beach bag or a backpack to go on-shore. You can fit all of your necessities into your bag when you go on-shore, so easy! Get a Cruise Packing Checklist in Your Inbox – I will send you a FREE copy of the printable packing list plus travel tips, discounts and giveaways from Travel Eat Blog! Now that you have all of the essentials, it is time to start packing! Use this cruise packing list as a starter and modify it for your personal tastes. You may not need everything on this list, but you should consider all of them! Cruising is a fun time for fashion, but you do not need to pack your entire wardrobe for a cruise. Whatever your activity, make sure you have comfortable walking shoes. You will need casual clothing for breakfast (something like what I wore on the picture) and it might be a good idea to check for details with your cruising company to see if there will be any theme night during your cruise. All cruises are different but you can definitely plan for one elegant evening. Most cruise lines will have at least one, no matter the length of the cruise. The cruise formal wear doesn’t have to be anything outrageous. I have seen people on cruises wearing tuxedos and super fancy dresses and some in jeans and a polo shirt. Wear whatever you want, just feel confident and enjoy yourself! And if you are wanting some inspiration, see my cruise clothing guide to get advice on cruise outfits and answers to all of your clothing-related questions! Underwear and bras – pack enough so you don’t have to worry about washing. Socks – 1-2 pairs should be fine, depending on your activities. Cruising Tip: No need for packing beach towels! The ship will provide pool towels you can use and you can take them with you when you get off at each port. Thermometer – the one item I recommend you don’t forget to pack when traveling with kids. Probiotics – the number one best thing you can do for your health, especially when you travel! As with any resort or hotel, you will be given basic toiletries to use, but my hair feels terrible if I use them so I always bring my own shampoo and conditioner. Keep them in a zip-lock bag. Hair straightener / curling iron – may come in handy for elegant night, if you want to go all out! Toiletry bag – I prefer something cute and compact like this one. Minimize your electronics as much as you can. Cruising is a great way to unplug, especially since wi-fi prices are so expensive! Water resistant camera case – when swimming with stingrays, we found that having a waterproof camera case helps take some amazing shots! Power adapter – essential if you are traveling internationally. Also, cruise ship usually have a limited amount of outlets in a cabin. But they have both, European and American outlets. If you bring a power adapter you can use to charge your electronics on board. Laptop – we travel with ours as work and travel are rarely separate. I really hope this list helped you with you packing and now you are even more excited for your vacation! Before you leave, be sure to download this checklist so you don’t forget anything! If you are traveling with a companion, divide your checked items into two suitcases. If one is lost, you will both have some clothing to wear. Also, be sure to carry-on anything that you cannot live without for a couple of days (medicine, swimsuit, clean underwear), just in case your luggage is lost or delayed. Does it look like it might be chilly? Take a warmer jacket just in case it’s colder in the evenings. Does the weather look hot and humid? Grab a rain jacket and a lot of sunscreen. On our last vacation, it was raining a lot and I am very glad I had a waterproof jacket with me. Planning your outfits before you leave can save you a lot of space in your suitcases. Plan a couple of outfits for each day – one for the morning and afternoon (active wear and swimsuits) and one for the evening (casual or more elegant). And you can mix and match when you are on the ship! This one is huge. With a refillable water bottle, you will be able to bring water to your stateroom and have water with you anywhere on the ship. You will have to throw away your water at customs, but you can come on board with an empty bottle. Then you can refill it at one of the water stations on the ship. Otherwise, you are stuck with $4 bottles in your stateroom or carrying a cup of water down 5 floors. The one I found best comes in a variety of sizes and vibrant colors, it’s inexpensive and has really good customer reviews. It’s BPA free and has a vacuum seal. This one will serve you for many cruise adventures to come! 5. Get an editable packing checklist from Travel Eat Blog! I made this smart printable cruise packing list below. Print it out and cross out to make your packing so much easier! Is this your first cruise? Check out these cruising hacks and tips to save money and have the best experience ever! Is someone you know going on a cruise? Share this cruise packing list with them to help save them time while they are packing! Have more ideas and tips for packing? Leave them in the comments below! Great post, Ive never been on a cruise but I plan on going soon. Thank you for sharing. I haven’t been on a cruise in such a long time, but this packing guide was so helpful! Extensive list! My pale self always needs to bring 3x the amount of sunscreen I think I would need. It is so expensive on the cruise ship or in port. Such a creative article! Very informative. Excellent List!! I glad after reading your post, and there I found the best list of what to pack for a cruise. It’s a helpful list for us. Thanks for sharing your great information. Great checklist! I’ve been on 3 cruises and going on another this September and I still have to write out everything I am packing! I will definitely use your checklist when I’m getting ready to pack! !